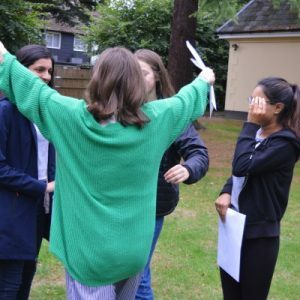 Braeside School > News > News > GCSE Celebrations! 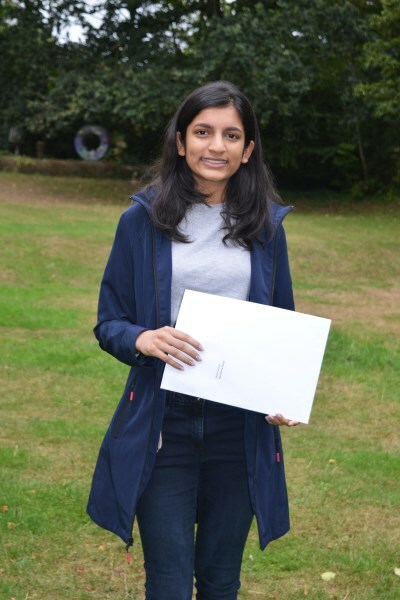 Braeside is celebrating another outstanding set of GCSE results this year. 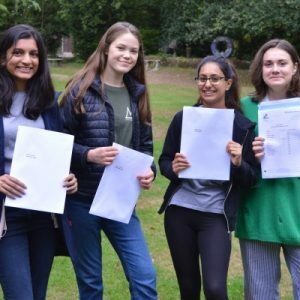 95% of grades achieved were at grade 4 or above, equivalent to a previous grade C or higher, with 47% of grades at grades 7-9, equivalent to the previous grades A*or A. 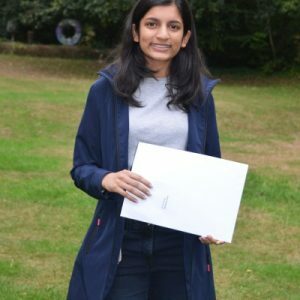 Once again the pupils achieved particularly well in Sciences and Maths with 100% passes in Maths and Biology, Chemistry and Physics. Other subjects with 100% passes include Art, Drama, History and RS. 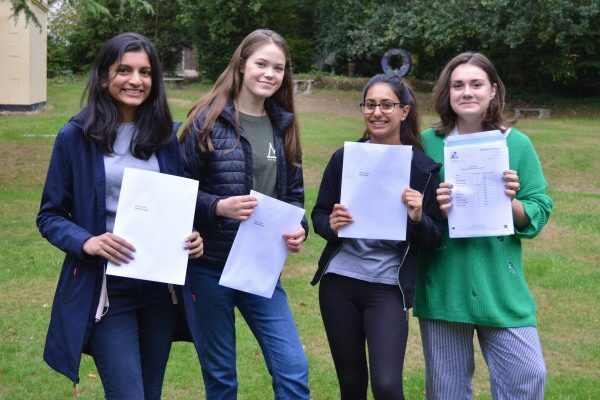 Mrs Osborn is delighted with the results: “This is an excellent set of results for the Braeside pupils, who all took the new GCSE examinations this year. Their success is very well-deserved and is a testament to their hard work and commitment. They leave Braeside to join some outstanding schools and colleges, and I wish them all the very best for the future. 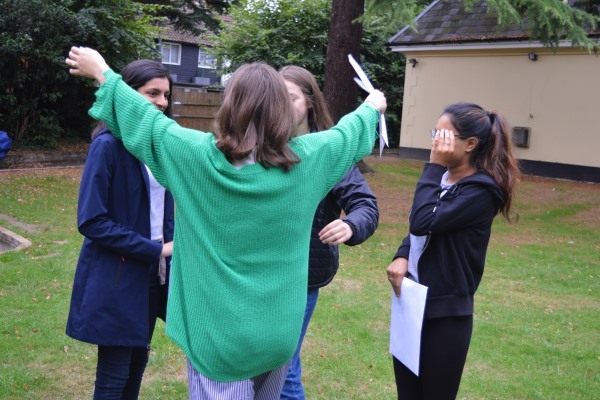 There were some excellent individual performances: Gaby achieved 10 passes at Grades 7 – 9, Amna achieved 9, Karishma achieved 8 and Amelia achieved 7. 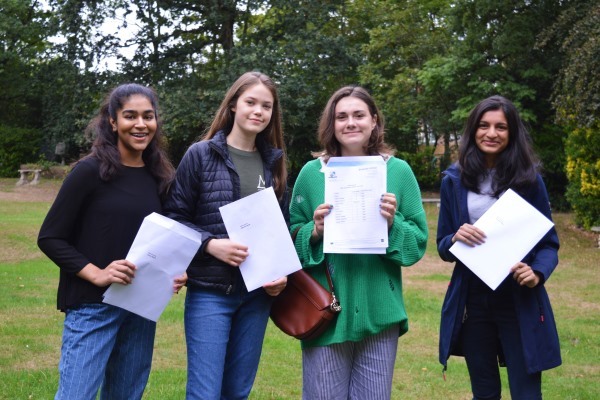 I’m proud to be able to see pupils move onto the next stage of their education as well-rounded, motivated young people who are well-equipped for life beyond Braeside”. 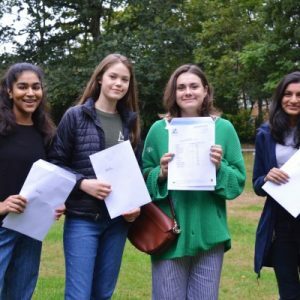 A huge WELL DONE to all of our hardworking pupils, and we wish you all the best!